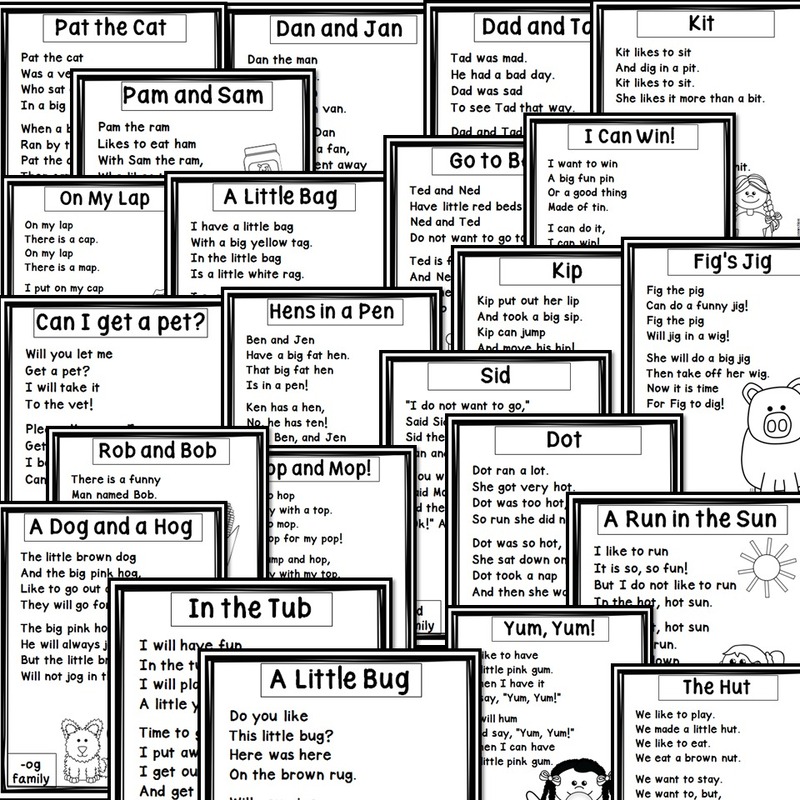 Includes Sight Words, Rhymes, and CVC Words. Fluency and Poetry in one! 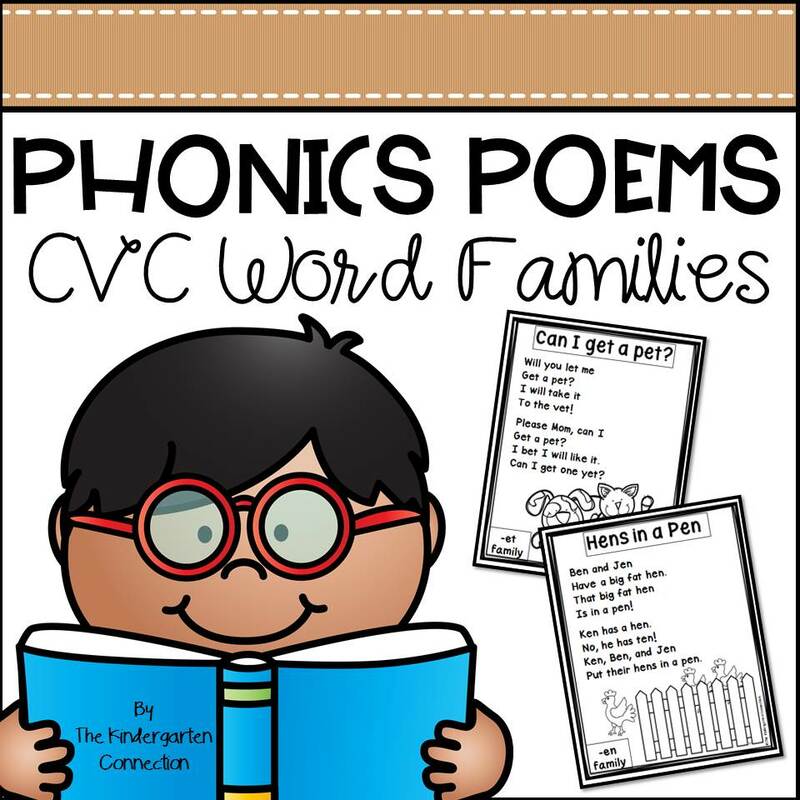 This pack contains 23 printable Phonics Poems to help your early readers become successful with cvc word families! This pack was designed with kindergarten students in mind, but could be used for any early reader who is working on their fluency! These 23 poems are 8 lines each, with sight words, cvc words, and rhymes! They contain pictures and are perfect for poetry notebooks or folders!